Out and about. – Brian Beatty: Writer. Jokester. Bearder. 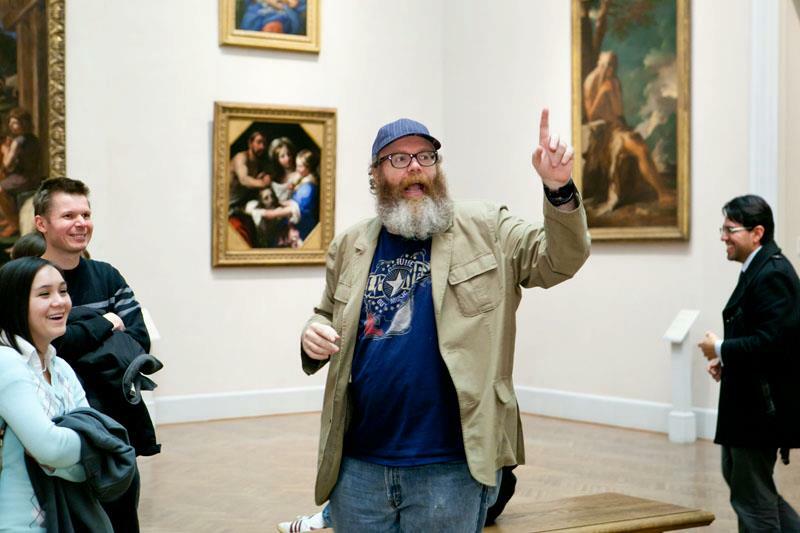 Here I am leading a funny (but factually questionable) third floor tour at the Minneapolis Institute of Arts back in April of this year. That seemed like a good idea to somebody. At the time, anyway. 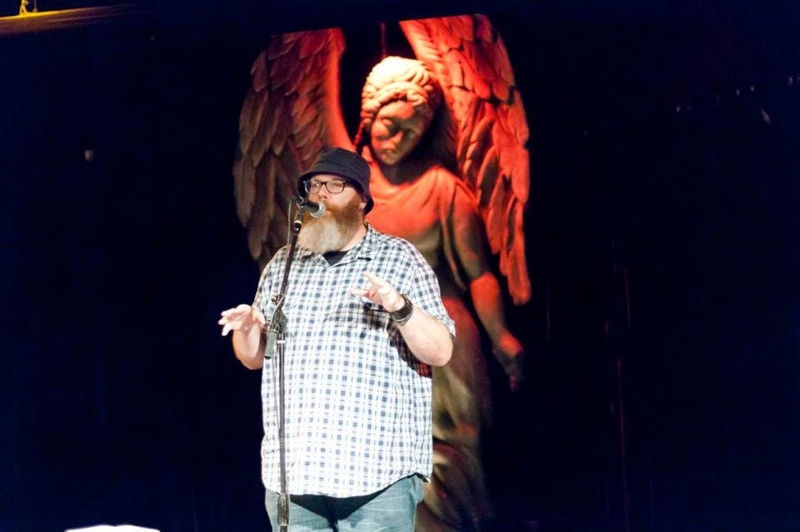 Here I am at Hell’s Kitchen in July, helping the audience at Vita.mn‘s “Summer Stories” reading imagine me as an 11-year-old boy — in other words, shorter, fatter and with less grey in my beard. ← “Eyes and Ears” — a story.